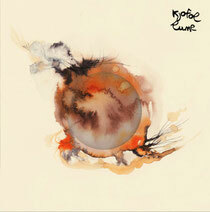 London’s Apparel Music looks forward to the release of ‘Lune’, the debut album from Kjofol. Fabien Vilain AKA Kjofol is a unique and exciting producer who has been stirring up interest for some time now. Originally from Montpellier in France he relocated to Berlin two years ago to join the many musically minded souls who have chosen to immerse themselves in the city’s electronic music culture. Releases for the Klangwelt label as well as of course Apparel Music have shown Vilain’s rich musical diversity, bringing influences from his native France and fusing them with the Teutonic sounds of his adopted home. His initial single for Apparel, the ‘Jazzy Garden EP’ saw broad support with everyone from Laurent Garnier to DJ sneak to M.A.N.D.Y. getting behind it. Away from the studio Kjofol has also put together a live show that will showcase his music. ‘Lune’ is a good debut long player that defies categorisation with its deft fusion of musical elements creating a record that is truly sublime. From the atmospherics of opening cut ‘La Pratique Du Singulier’ it’s clear that this is something special, swirling effects and warm organic keys take the lead giving the album an ambient yet engaging opener. As the LP develops elements of jazz, house, broken beat and electronica join the mix, forming a body of work that keeps you both guessing and craving for more. Title track ‘Lune’ journeys into jazz inflected deep house whilst ‘I Want To Say To Marijane’ takes a dubby, downtempo tack with it’s laid back drum programming and rich bass. Among the many highlights is the 13-minute plus ‘While Others Go And Come’ that moves through distinct fazes of ambient soundscape and tech edged deep house. It’s out October 8. Kjofol - Individuation (from "Tutti I Rumori Del Mare" Original Movie Soundtrack) from Apparel Music on Vimeo.